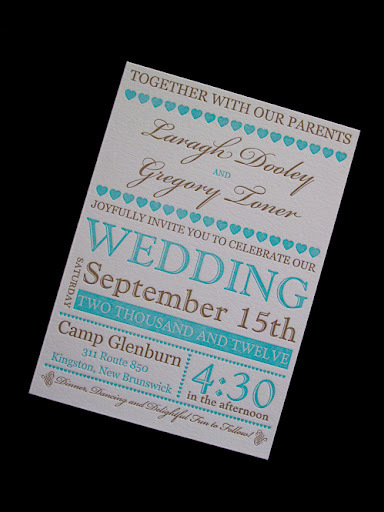 In October of 2011, we posted a Free Letterpress Invitation giveaway on www.weddingbee.com. We wanted to get feedback from brides on what they wanted for their stationery needs. 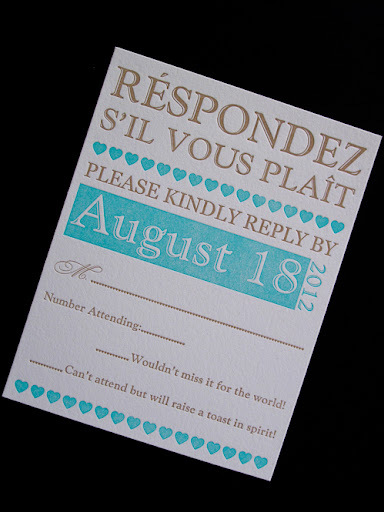 Any bride that answered the questionnaire we posted was entered to win 100 1-Color Custom Letterpressed Wedding Invitation. With that said, Laragh was randomly chosen to be our winner and here we are now! 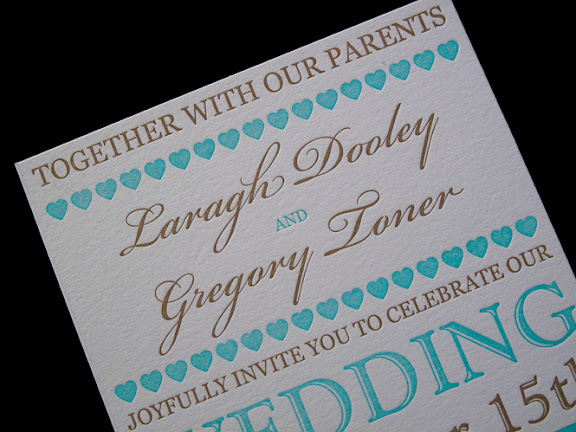 After communicating with Laragh on what style she wanted, we came up with, how we describe as, a “modern playbill letterpress invitation.” She wanted to add a second color and response cards as well. 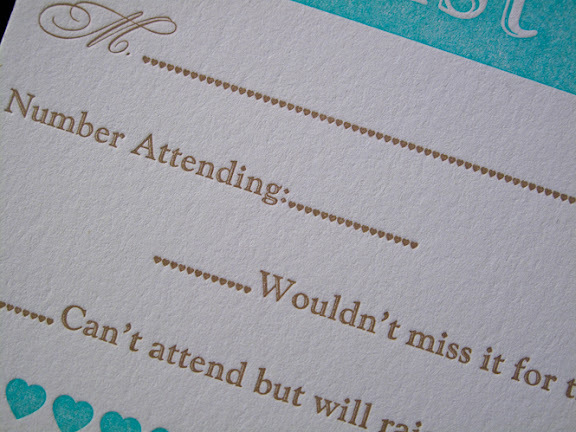 Her invitations were printed on 5”x7” 220# pearl white cardstock. 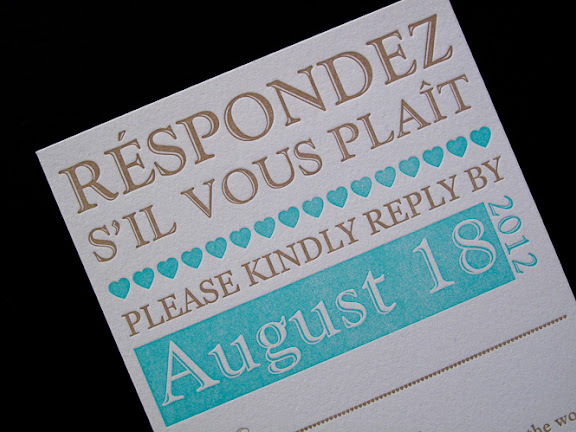 Response cards were printed on 4.25”x5.5” 110# pearl white cardstock. She was so thrilled when we sent her photos right after we were done printing. I love the excitement from happy clients! Totally makes my day. Oh no! Our Contact Form wasn’t working! 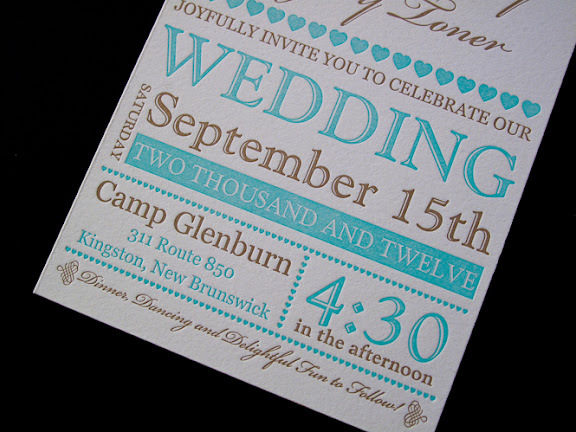 → ← Kosaka Letterpress Telegram Wedding Invitation – Sneak Peek!